Sapulpa Police have confirmed that they did find two pipe bombs in the center console of a car at the Creek County Courthouse this afternoon. A woman leaving the courthouse saw while she was getting into her car that her tires had been slashed. Upon further inspection, she discovered an improvised explosive device in the center console of her car. 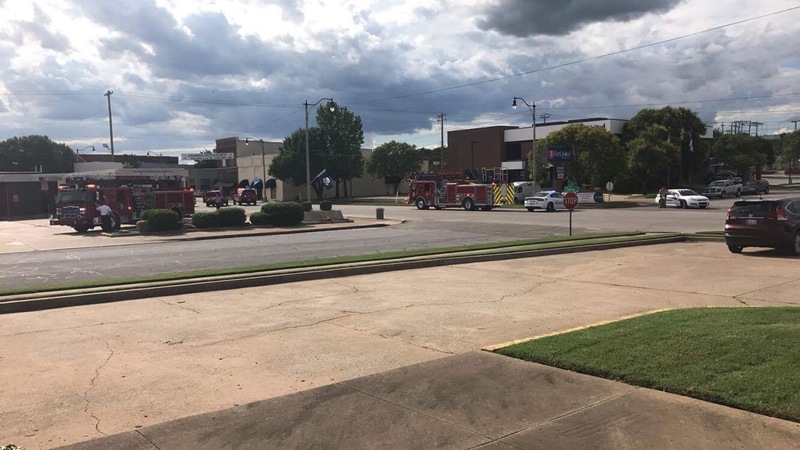 The police were called and authorities blocked off a section of downtown Sapulpa while they called in the Tulsa Police Bomb Squad. Fox23 is reporting that Tulsa Police Bomb Squad was called in to remove the bombs, and they are being transported away from the scene now. There are no suspects at the time, and police do not know if the woman was targeted, or if the planting of the device and slashing of the tires was a random event.